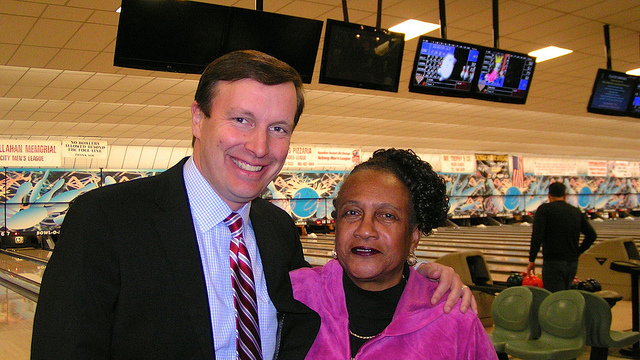 Chris Murphy and DTC Vice Chair Shirley Black at 1st Bowling for Democrats. New Britain Democrats’ 3rd annual Bowling Party will be held on Friday, February 24th at Newington’s Bowl-A-Rama, 2143 Berlin Turnpike from 6 to 8 p.m. The evening includes two hours of bowling, shoe rentals, pizza, soda and cash bar. 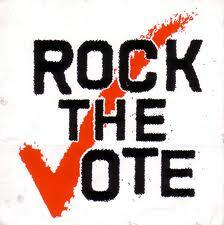 Net proceeds swill benefit the New Britain Democratic Party’s voter engagement and party building activities. $30 per person. $50 for two. Like pizza but don’t bowl? $25. RSVP to newbritaindemocrat@gmail.com, 860-505-8901. Campaigning, running for office and civic engagement will be the topics at a Freedom Academy program to be held on Saturday, February 25th, from noon to 3 p.m. at the Spottswood AME Zion Church, 25 Crestwood Lane. Political organizer and Strategist Michael T. Bland, formerly a campaign organizer for Cong. Elizabeth Esty and the Obama campaign, will be the featured speaker. Preparations for the 2017-2018 municipal budget will accelerate this week as the Board of Finance holds two meetings on Tuesday, 2/21 and Thursday, 2/23 at 6 p.m. in room 305. The seven-member board holds budget hearing meetings into March and will recommend a budget to the Mayor’s office for consideration by the Common Council which must adopt a budget by June for the fiscal year that begins July 1. 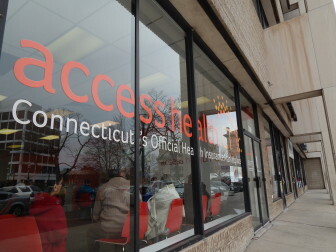 The Common Council will meet on Wednesday, 2/22, beginning with public participation at 7 p.m.
President Trump promised to replace the Affordable Care Act with something that is better, is cheaper and covers more people. Scratch that. Republican leaders in the House and Mr. Trump’s secretary of health and human services released a plan last week that would provide insurance that is far inferior, shift more medical costs onto families and cover far fewer people. This entry was posted in Announcements, Fundraiser, Health Care, Meeting/Event, Monday Briefing and tagged Democratic Party, New Britain. Bookmark the permalink.